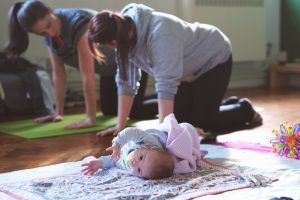 If you are in the late stages of pregnancy or very early postnatal, then this Postnatal & 4th Trimester® workshop could be for you. It is all about preparing you for real life at home in the early postnatal period. We’ll talk about the importance of supporting your tummy, posture, lifting, pelvic floor, food tricks, breathing and thinking about returning to exercise. Most importantly you’ll learn about how to start working your pelvic floor and tummy muscles straight from birth, so you are ready to go when you get home. Attendees will receive a discount for the Holistic Core Restore Everywoman® Course as well as receiving an information booklet.